Description: Titan, 1997. First Edition, Softcover. Very Good Condition. 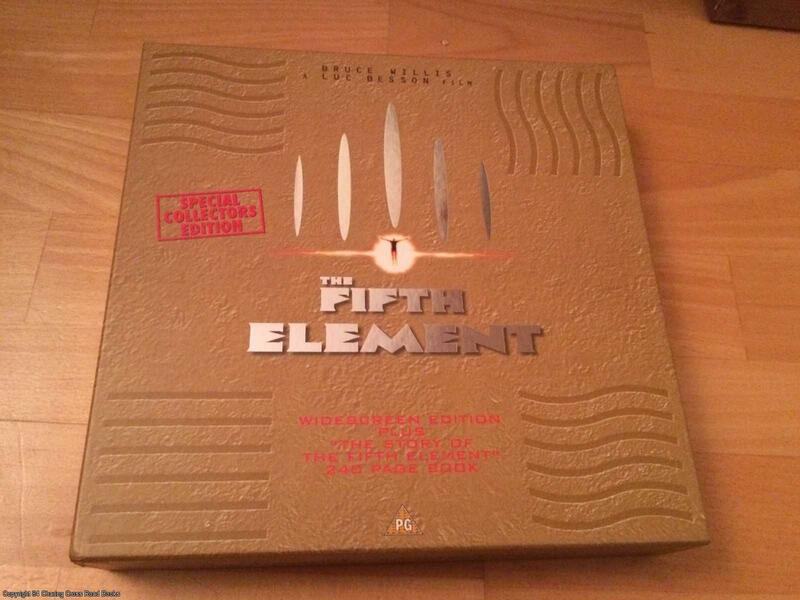 9781852868635 Excellent Limited Edition boxed set which contains the book 'The Story of The Fifth Element'. A superb monumental boxed edition containing the Widescreen VHS Video and very scarce collector's book. Book itself VG-. with some corner creasing only, tight binding, unmarked. Sent Airmail at no extra cost; Quantity Available: 1. Shipped Weight: Under 1 kilogram. ISBN: 1852868635. ISBN/EAN: 9781852868635. Pictures of this item not already displayed here available upon request.